This week's focus takes us an hour outside of Jordan, Montana to the most heavily fished water in Montana, Hell Creek State Park. You'll reach Hell Creek, near the end of a 25-mile-long gravel road, through the spectacular scenery of the Missouri Breaks landscape. On the Hell Creek Arm of Fort Peck Lake, this park provides facilities for most water sports as well as excellent walleye fishing. Fort Peck boasts 1,500 miles of lake shoreline (longer than the entire California coast) and features the surrounding hills of the C. M. Russell National Wildlife Refuge and the Missouri Breaks. This weeks featured park is brought to you by the Miles City Chamber of Commerce. While the road to reach Hell Creek State Park is long, the drive is well worth it! As you travel along a 25-mile gravel road to get into the park, you’ll encounter beautiful, rugged terrain. Be sure to allow 1-2 hours to travel from Jordan to Hell Creek State Park. And please note, traveling the road between Hell Creek State Park and Jordan is only recommended during dry conditions. Check current and upcoming weather prior to travel. Lewis & Clark and the Corps of Discovery encountered a grizzly bear near here in 1805. ✅ Spend your day on the water boating, water skiing or windsurfing! ✅ Summer? Fish from the shore or out on the water! ✅ Winter? Go ice fishing! ✅ Lounge by the lake and take swim! ✅ Hike through the rugged hills surrounding the park! Located on the Hell Creek Arm of Fort Peck Lake, you’ll find excellent facilities for water sports as well as a bounty of walleye, lake trout, northern pike, and small-mouth bass to fish. Plus, there is a fish cleaning station. Hell Creek Marina, a private marina located within the park, offers bait, groceries, gas and other camping and fishing equipment. The park also serves as a launching point for boat camping in the wild and scenic Missouri Breaks. Looking for a hike? You’ll find plenty of trails throughout Hell Creek State Park including the 1 ½ mile loop Mule Deer Trail and the Paleo Trail. The Paleo Trail is a 3-mile roundtrip hike into the Hellcreek Formation, known for its dinosaur fossils. Hunting enthusiasts will find their fun at Hell Creek as well! Depending on the season, you’ll find hunting for antelope, elk, mule and white-tailed deer. In 1902, Barnum Brown discovered the world’s first Tyrannosaurus Rexwithin the park and a few years after that a full skeleton was found, including its 6-inch teeth! The "badlands" surrounding Fort Peck Lake (and Hell Creek State Park) is known as the highly fossiliferous Hell Creek Formation and is a paleontologist's dream. The soil is composed of freshwater clays, mudstones, and sandstones deposited during the last part of the Cretaceous and the Maastrichtian period. Paleontologists have discovered invertebrates, plants, mammals, fish, reptiles, and amphibians - and dinosaurs as large (and in-tact) as Tyrannosaurus and Triceratops. During 1999-2010, Jack Horner (Museum of the Rockies, Bozeman, Montana), Bill Clemens and Mark Goodwin (University of CaliforniaMuseum of Paleontology) and Joseph Harman (University of North Dakota) organized a collaborative, multi-institutional field study program, called The Hell Creek Project. All the findings from that project, which included 18,000 cataloged specimens, are conserved in perpetuity for the public trust at the Museum of the Rockies and the UC Berkeley Museum of Paleontology. Park Office Open May 15 - October 1 8 a.m. to 5 p.m.
How Does the Foundation Help State Parks Like Hell Creek State Park? As Montana State Parks only statewide fundraising partner, the Foundation helps to raise awareness, education, and most importantly support boots-on-the-ground improvement projects for users and supporters like you. As an agency faced with a $22 million maintenance deficit, our work and collaboration help to ensure continued access and solutions currently inside our state park system. A simple way to help Montana State Parks, each and every year, is through our branded Montana license plates. These feature the famous Monte Dolack Fine Art painting, Placid Lake Sunset, and is an effective way to say "yes" to protecting Montana's public lands by doing what you'd be doing anyway by registering your vehicle. Ask your local DMV today for your Montana State Parks' license plate. This week's focus takes us to just a few minutes outside of Three Forks, Montana downtown and only 35 minutes outside of Bozeman, Montana, to Missouri Headwaters State Park. The convergence of the Jefferson, Madison, and Gallatin rivers is the start of the longest river in North America, the Missouri River. Considered an essential part of the geography of the western U.S., Capt. Meriwether Lewis described this area as... "the country opens suddenly to extensive and beautiful plains and meadows which appear to be surrounded in every direction with distant and lofty mountains." The three rivers that converge to form the Missouri River are named for President Thomas Jefferson, Secretary of State James Madison and Treasury Secretary Albert Gallatin! ✅ Looking to camp in history? There are 17 campsites available and you can even rent a tipi! ✅ Interpretive displays describing the area’s cultural and natural history can be found to help guide you! ✅ Take your bike for a spin on the many trails throughout the park! ✅ Not much of a biker? Use the trails for a scenic hike instead! ✅ Take a float down the river, you’ll have your choice of three! ✅ Visit Fort Rock to take a look at historic pictographs. Sacagawea was captured as a child in the area that the Missouri Headwaters State Park now exists and returned briefly during her expedition with the Corps of Discovery. In addition to its history with the Corps of Discovery, you can also find the remnants of the long empty, western town of Gallatin City. Settlers convinced that commerce would arrive above Great Falls, Montana, and with hope to supply the gold camps in Virginia City, Montana and Helena, Montana, Gallatin City was founded in 1862, a mere year before what is now Bozeman was platted out by John Bozeman. How Does the Foundation Help State Parks Like Missouri Headwaters State Park? You can support parks like Missouri Headwaters with Montana State Park License Plates or great State Parks gear available on our website. This week's focus takes us to just a mile north of Miles City, Montana, a little more than two hours from Billings, Montana by way of Interstate94, on the north side of a bend in the Yellowstone River, to Pirogue Island State Park. In addition to extensive hiking, birding, and wildlife viewing, the island is a documented site where the Corps of Discovery and Capt. Clark camped in 1806 on the return voyage of their famous expedition. This week's Parks Showcase is brought to you by the Miles City Chamber of Commerce. An isolated, cottonwood-covered island located on the Yellowstone River, Pirogue Island State Park is an excellent location for enjoying the natural beauty of Montana. While wading through channels of the Yellowstone River is the most popular way to get to Pirogue Island, others stop by as they float down the river. A local treasure with a wide variety of bird species including Passerines, belted kingfishers, shorebirds, waterfowl, and bald eagles as well as both whitetail and mule deer, the island is an excellent location for wildlife viewing. The island also boasts prominent plant life with more than 140 species of plants including a healthy population of cottonwood trees, peach-leaf willow, green ash and red-osier dogwood. Looking for more than 2.8 miles? You’re in luck! As a very level site, visitors will find an easy walk throughout the 269 acres and when the water isn’t flowing, visitors can take a walk along the tree-shaded side channels and wade through the pools of water that form during hot weather. Moss agates are a unique agate that is often found with a lime coloring and gets its name for its resemblance of the color of moss, which was given to it prior to its scientific name and has stuck. "Good spot for hunting and fishing." "Growing up in this area I never discovered this until I went back and visited. There is a great trail (about 6 miles) that takes you all around the park and next to the river." "I love the walking trail and having the chance to see wildlife." "This state park is in a very interesting setting. It is an island in the Yellowstone River outside of Miles City, MT. There are picnic tables and restrooms and interesting trails to walk beside walking over to the island when the water is low. This is a great place to go with a family when the weather is nice. Springtime would not be good, the water would be too high to reach the island." ***Note: Pirogue Island State Park is not formally developed and care should be taken when crossing. Crossing to Pirogue State Park is not recommended if water is flowing. And due to the seasonal flooding, come prepared to protect yourself from ticks. How Does the Foundation Help State Parks Like Pirogue Island State Park? This week's focus takes us to just outside of Kalispell, Montana to Lone Pine State Park. With 7.5 miles of trails for hiking, biking, snowshoeing, and horseback riding it also boast breathtaking overlooks, where you can see Flathead Lake, Whitefish Mountain Resort, Jewel Basin - Montana, and Glacier National Park on clear days. This week's park feature is sponsored by Western Montana's Glacier Country. Lone Pine hosts extensive educational and recreation opportunities throughout the year? In the next month alone, events range from fly tying to avalanche awareness to birding and snowshoeing. Be sure to check out their Facebook page for more listings. Add to your itinerary today - click for park coordinates! ✅ Plus so many more! The visitor center has a gift shop and provides visitors with highlights of the wildlife and forest ecology of the park. A great spot for meetings or social gatherings (can host up to 100 people), the visitor center has a spacious meeting room with audio/visual capabilities and wrap around decks! 7.5 miles of trails can accommodate for short or long hikes where you’ll find great views of wildflowers and local wildlife. Snowshoe rentals are available for $5 per person or $10 per family during the winter months. With adult workshops, children's activities and interpretive programs throughout the year, Lone Pine State Park is an ideal stop for field trips, out of state visitors or Montana residents interested in learning more about northwestern Montana. You wouldn’t know from looking around the heavily forested Lone Pine today, but when the land was originally donated, there were barely a handful of trees. At one of the main overlooks, there was a single pine growing out of a cliff and this tree gave the park its name. Although this “lone pine” is no longer standing, a plaque now marks its location. "You can park at the lower gate, around the corner in the upper lot, or drive by Foy's Lake and take the main entrance to the top (ample parking and handicap accessible). Not only does Lone Pine have an abundance of trails for all abilities, but it has a great Visitors Center at the top as well. The staff is very knowledgeable about plants, wildlife, and other hiking opportunities in the Valley. A great place to walk your dog, view the city, or have a picnic!" How Does the Foundation Help State Parks Like Lone Pine State Park? In the last year, the Foundation helped fund new visitor information kiosks throughout the park as well as helped to pay for educational supplies, things like radar detectors, for classes on bats that Lone Pine features in the summer months. And it's supporters just like you that helped make all this work possible. This week's focus takes us to 25 minutes south of Missoula, Montana and into Stevensville, Montana to Fort Owen State Park. Here you will find the remains of the oldest pioneer settlement in the State of Montana. Fort Owen State Park is open year-round and offers us a glimpse into the history of early Montana where many “firsts” occurred: – first sawmill, first grist mill, first agricultural development, first water right, and first land transaction. Fort Owen State Park is supported by the Friends of Fort Owen. Be sure to check out local events that they sponsor throughout the year. Just south of Missoula near Stevensville, you will find the remains of one of the most historically important sites in Montana, Fort Owen State Park. Originally home to the first Catholic Church in Montana, founded by Father DeSmet in 1841, Fort Owen has a rich history and is listed in the National Register of Historic Places - NPS. During its peak, the only structures larger than Fort Owen were located in Saint Paul, Minnesota or Salt Lake City, Utah?! In 1850, Major John Owen arrived in the Bitterroot Valley Montana and purchased the (about to be abandoned) mission and transformed it into a trading post which he named Fort Owen. Owen began trading with Native Americans and a growing number of early settlers in the area, making Fort Owen an important trading hub for Western Montana. With tall, whitewashed walls, the fort stood out from the surrounding landscape like a beacon to those looking for supplies. Fort Owen was the heart of this early community, where John Owen and his beloved Shoshone wife Nancy, not only sold supplies but provided a place of warmth and hospitality to all those who visited. ✅ Check out the museum! ✅ Capture the historical significance through photography! ✅ Visit nearby Stevensville and the St. Mary’s Mission. Fort Owen served as an important trading hub for Western Montana for over 20 years. However, when the Mullan Road was built in 1863, connecting Fort Benton, Montana to Walla Walla, Washington, it became the main transportation route and bypassed Fort Owen, going north through Missoula instead. Montana. When Nancy Owen died in 1868, John’s Owen's mental health began to decline along with his financial success. Eventually John’s deteriorating mental health lead to the financial collapse of the trading post. In 1872, Washington McCormick purchased the buildings and grist mill at a Sheriff’s sale. Diagnosed with dementia, John Owen was moved back to the East Coast to live out the rest of his life with his relatives where he passed away in 1889. Oddly, while repairing a roof at Fort Owen, Washington McCormick was killed that same year after the roof he was repairing was blown off in a violent summer storm. After this the property and buildings of the fort passed through many hands, one acre surrounding the remains of the fort was given to the Fort Owen Historical Association in 1937. In 1956 they conveyed it to the state of Montana for one dollar. John Owen, had been developed was a by Catholic Missionaries who established the community of Stevensville to minister to the Salish Indians in their homeland of the Bitterroot Valley? In addition to its many firsts, it also was the first recorded land transaction in Montana and and contains the oldest constructed buildings in the State of Montana. Today you can tour one of the barracks that served as John Owen’s home and library, see the outline of the fort’s walls, a reconstructed root cellar, the well house and a historic cabin. The rooms in the east barracks feature period furnishings and artifacts and visitors will find interpretive signs and exhibits which detail the region's history. When visiting, be aware that the property surrounding Fort Owen State Park is privately owned, please respect these property owners and stay within the park boundaries. Due to limited parking and turnaround space, vehicles towing trailers are not recommended. While Fort Owen is open year-round, the staff are only there on occasion so be prepared for a self-guided experience! How Does the Foundation Help State Parks Like Fort Owen State Park? This week's focus takes us to an hour outside of Missoula, Montana near Seeley Lake, Montana to Placid Lake State Park. Placid Lake State Park is open year-round with extensive outdoor recreation options in the summer months, including fishing, boating, hiking, and mountain biking – just to name a few. This weeks parks showcase is sponsored by Visit Missoula! Located near Seeley Lake and Salmon Lake State Park, you’ll find Placid Lake State Park. Placid Lake State Park is actually named for New York’s Lake Placid! Found on a tributary of the Clearwater River, Placid Lake State Park is an excellent choice for families and adventurers alike. Add to your itinerary today - click for park coordinates! ✅ Enjoy a picnic by the lake. ✅ Challenge your friends or family to a game of volleyball or horseshoes. ✅ Spend the day on the water boating or swimming. ✅ Take in a beautiful sunset over the lake. ✅ Go on a hike around the lake. Lake Placid State Park is a great option if you’re looking to camp! With 40 campsites and recently added showers and laundry facilities, this state park provides a taste of the great outdoors without having to stray too far from the comforts of home. With over 40,000 visitors each summer, Placid Lake State Park is one of the busiest state parks. The forest around the lake was once in logging territory and what were once roads used to haul trees and equipment are now used as hiking and mountain biking trails. You can learn more about the history of the area through the interpretive panels along the trails. Planning to bring your boat? You can rent a boat slip on a first-come, first-serve basis. Did you know the Montana State Parks Foundation’s specialty license plate is a painting of this state park by Missoula artist, Monte Dolack, entitled “Placid Lake Sunset”? And that every dollar from license plate sales help to fund the Foundation's work and is available at your local DMV anywhere in the state. Closed to all motorized traffic, walk-in only. Day-use only, no overnight camping. How Does the Foundation Help State Parks Like Placid Lake State Park? 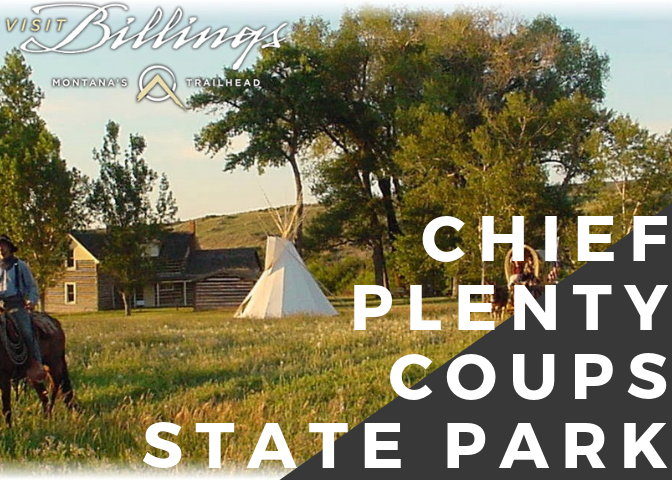 This week's focus takes us to 40 minutes south of Billings, Montana near Pryor, Montana, to Chief Plenty Coups State Park. Chief Plenty Coups State Park and Home is named for the last traditional chief of the Crow Nation, Chief Plenty Coups (Aleek-chea-ahoosh, meaning "many achievements"). Plenty Coups was a man of war - and then a man of peace - whose vision has helped bridge a gap between two cultures. Recognized for his bravery and leadership, he was made a chief of the Apsáalooke (Crow) tribe by age 28. This weeks parks showcase is sponsored by Visit Billings. Chief Plenty Coups was a well-known statesman and ambassador, he knew several U.S. Presidents and met many foreign leaders during his life. Chief Plenty Coups is remembered for helping to bridge the divide between Native American people and white settlers during a time when the Native American people were being coerced into giving up their traditional ways. Through the Indian Allotment Act, Chief Plenty Coups received an allotment of land which included a sacred spring, something that Plenty Coups envisioned as a young man, and became one of the first Apsáalooke to own and settle on a farm. On his land, Chief Plenty Coups built a log home, began farming and eventually opened a general store. You won’t find camping at Chief Plenty Coups State Park, but you will find a day’s worth of activities! Add to your itinerary today - click for park coordinates! ✅ Hike the ¾ mile trail around the grounds and near the creek. ✅ Take in the beauty and serenity while enjoying lunch in the picnic area. ✅ Learn more about Chief Plenty Coups’ life and Native American culture at the visitor center. ✅ Have a fishing license? Try and catch a fish in the creek! While traveling to Washington, District of Columbia., Plenty Coups toured George Washington's Mount Vernon, and was struck by the idea of a national monument open to all. In 1932, at age 84, Chief Plenty Coups passed away and at his and his wife, Strikes the Iron’s, request, a portion of their homestead was made into a state park which eventually grew to 195 acres for all people to visit and learn from and still operates as such today! At the burial of the unknown soldier at Arlington National Cemetery in 1921, Chief Plenty Coups attended as a representative of all the Indian Nations. While the ceremony commenced, Chief Plenty Coups placed his headdress and two coups sticks on the tomb in honor of the fallen soldiers. The headdress and coups sticks can still be seen today on display in the Virginia cemetery. Open Wednesday - Sunday 8 a.m. to 5 p.m.
Open Wednesday - Sunday 10 a.m. to 5 p.m.
Memorial Day, Fourth of July and Labor Day. Park also closed December 24th and 31st. How Does the Foundation Help State Parks Like Chief Plenty Coups State Park? P.S. The Montana State Parks Foundation would like to say thank you to all the generous donor who made charitable gifts during our 2018 End of Year Giving Campaign. Your support makes a real difference for Montana State Parks by funding on the ground projects to enhance the visitor experience at parks. This week's focus takes us to Dagmar, Montana only 54 miles from Williston, North Dakota and only 150 Regina, Saskatchewan, to the only state park in the northeast corner of Montana, Montana’s 50th state park, Brush Lake State Park. Brush Lake is a deep lake (65 feet) in a closed basin and the site of National Science Foundation (NSF) research on climate change. The lake boasts 45 feet of sediments showcasing 10,000 years of pollen and mineral depositing helping to tell the story of climate, and its changes, since the Ice Age. Brush Lake State Park is 280-acres and its water quality is theorized to be more ocean-like than fresh water like - making it an ideal swimming location in the summer months. Both deep and incredibly clear, Brush Lake’s beaches are surrounded by grass fields and spring wheat during the summer. ✅ Hoping to camp? You can do so in one of the 12 campsites! ✅ Take a hike and go bird watching along the shore. ✅ Public swimming access is on the northeast part of the lake where the day-use area is also located. ✅ Utilize the boat launch and take your boat, canoe or kayak out for a day on the water. ✅ Have a picnic on the beach! Due to its close proximity to Canada, during Prohibition liquor was easy to come by and kept the Brush Lake Summer Resort in business. There was also a dance hall! After the Prohibition era, church and scout groups used the lake, but in the years before it became a state park, Brush Lake wasn’t the popular destination it once had been. Today the area where the dance hall once stood on the south side of the lake, is now privately held. In Eastern Montana, it is not uncommon to see the Aurora Borealis during solar events, especially during the fall and winter. Brush Lake's northern latitude and remote location make it a "stellar" destination for your next stargazing or northern lights viewing adventure. 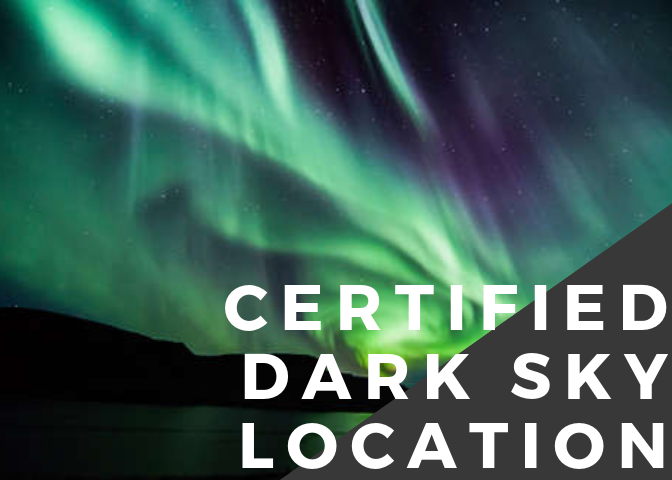 In fact it has been designated as an official Dark Sky Viewing Area. Because of the high alkali content, Brush Lake does not support a significant fish population. But in contrast, it showcases a distinctive aquamarine blue color. Brush Lake State Park is located 31 miles south of Plentywood, Montana. From Montana Highway 16 go east on Highway 258 for 16.5 miles, turn south on Brush Lake County Road, proceed one mile. How Does the Foundation Help State Parks Like Brush Lake State Park? 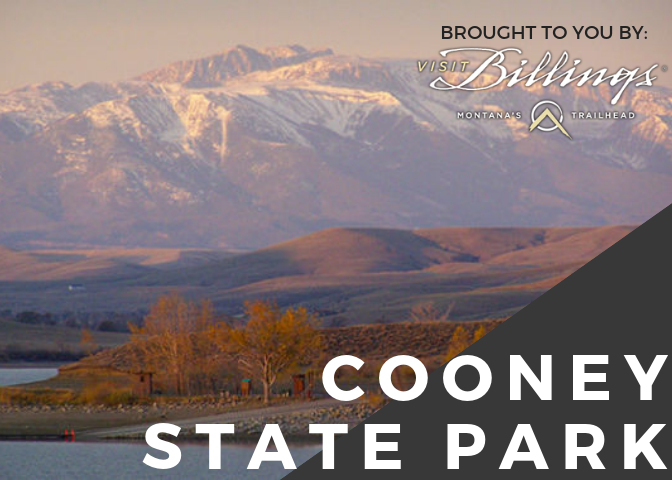 This week's focus takes us between Billings, Montana and Red Lodge, Montana to Cooney State Park. With 2 miles of trails (we've even heard rumors of a future project to that wrap around the entire reservoir), Cooney State Park offers great views and a wide variety of outdoor activities that won't fail to impress. Cooney State Park is just 40 minutes south of Billings and offers year-round access and activities. Not only does the park have a gorgeous reservoir, but it has a view of the Beartooth Mountains in the background. Regardless of the season, you’ll find excellent fishing for walleye and rainbow trout. And don’t forget, the Red Lodge Arm has a fish cleaning station! Planning to bring your boat along? You shouldn’t have any issues finding a place to drop in with three boat docks and ramps surrounding the lake! During the winter, some people enjoy kite-skiing across the lake. Camping is plentiful at Cooney State Park with five campgrounds and 82 campsites, 19 of which have electricity. While the electricity in the campgrounds is on year-round, be aware the water is shut off during the winter months. There are also three day-use group areas available around the lake. * The waterfront sites are truly waterfront (I stayed in Marshalls Cove) - a great place to bring a Kayak. There are also electric sites available. You will need to drive about 1 mile on a gravel, wash-boarded road to get to Marshalls Cove. Longer if you want to get to the other campgrounds that comprise Cooney Dam Reservoir. The place has a spirit of adventure about it. Phone service is limited to Fisherman's point - about 1 mile from Marshalls Cove. We camped at Cooney State Park in a Fifth Wheel. * Great jet ski and boating reservoir. Sunny skies and fun location in the shadow of snow-covered mountains. * Love this place. Go early if you wanna beat the crowds. * Great lake and close to Billings. Just a little fishing tip use leeches. * Stayed for a week in June it was packed during the weekend and pretty much empty during the week. There is no cell phone (unless you have a booster) and no wi-fi. The place was clean and the people friendly. The gravel pad was mostly level. We camped at Cooney State Park in a Motorhome. How Does the Foundation Help State Parks Like Cooney State Park? This week's focus takes us near Big Timber, Montana – approximately 100 miles outside of Yellowstone National Park and on interstate 90 between Bozeman, Montana and Billings, Montana. As one of Montana's few state parks named after the animal namesake it's working to protect, you'll find this experience to be as much about the location as the "locals" (or maybe more so). Located just off the interstate in South central Montana, Greycliff Prairie Dog Town State Park is the perfect stop on a family road trip. The black-tailed prairie dog is only one of five different species of prairie dogs. If you’re planning to visit, you’re more likely to see these active creatures on a mild winter or summer day as they tend to hide when it’s too cold or hot. How Does the Foundation Help State Parks Like Greycliff Prairie Dog Town State Park? This week's focus takes us near Lewistown, Montana – right in the heart of Montana's Big Sky Country. The surrounding mountains and rich agricultural areas that inspired renowned Western artist Charlie Russell whose works can be seen at the nearby Charles M. Russell Center in Great Falls, Montana, a hundred years ago. Just southwest of Hobson, Montana, you’ll find Ackley Lake State Park. Surrounded by the Little Belt Mountains and Snowy Mountains, Ackley Lake State Park is an incredibly beautiful destination. The water in Ackley Lake comes from the Judith River and is stockpiled for irrigation use. Planning a visit? Take a look at all you can do at Ackley Lake! ✅ Love to fish? You’re in luck! The lake is stocked with Rainbow Trout. ✅ Spend your day on the water boating or water skiing. Two boat launches ensure you won’t be waiting long to get your boat in the water. ✅ Enjoy your picnic with amazing views. ✅ Don’t forget your binoculars if you plan to do any bird watching! ✅ Lounge in the sun on the beach and take a dip to cool off! ✅ Spend a winter day ice fishing or snowshoeing around the lake! ✅ Search for crayfish and aquatic insects in the shallow areas along the shore! ✅ Camp at one of the rustic campsites near the lake! How Does the Foundation Help State Parks Like Ackley Lake? As Montana State Parks only statewide fundraising partner, the Foundation helps to raise awareness, education, and most importantly support boots-on-the-ground improvement projects for users and supporters like you. As an agency faced with a $22 million maintenance deficit, our work and collaboration help to ensure continued access and solutions currently inside our state park system. Don't forget to pay a visit to the Ackley Lake Club whose hard work and commitment to Ackley Lake State Park has helped ensure continued access and great experiences for thousands for Ackley Lake visitors. This week's focus takes us along the banks of the Jefferson River to Montana's first state park. With some of the most intricate cave networks in the United States, and with over a million limestone formations, Lewis & Clark Caverns State Park is the only show cave in the Northwest. The limestone cave system was created by water and discovered almost 100 years after Lewis and Clark's expedition through the area. On your way between Yellowstone National Park and Glacier National Park, Lewis and Clark Caverns offers a wide range of activities from biking to hiking to fishing and cave exploration (not to mention camping!). Best known for its caverns, the limestone caverns feature stalactites, stalagmites, columns, and helictites. The limestone was formed by layers of calcium-rich organisms that died in a sea that was present around 325 and 365 million years ago – you can still find oceanic fossils in the cliffs surrounding the trail on your hike to the upper entrance of the caves. When President Theodore Roosevelt made the caverns a National Monument, he decided to name them after Lewis & Clark as it had been 100 years since the Corps of Discovery had set out on their expedition and there was no federal monument named for them yet. With approximately 3,105 acres to explore, finding an activity suitable for any age and area of interest isn't difficult at Lewis and Clark Caverns. ✅ Looking for some time in the fresh air? This state park offers 10 miles of trails for hiking and biking. ✅ There are two visitor centers that offer excellent information and you’ll even find concessions. ✅ You’ll find interpretive displays throughout the park to learn more about the park and those who explored it. ✅ Don’t forget to stop at the Montana Gift Corral shop and pick up a souvenir. ✅ Catch an interpretive event hosted throughout the summer months. Caves can only be accessed via guided tours which are only offered May 1 - September 30, but special candlelight tours offered in December will resume in 2019 after the installation of a new lighting system inside the caverns is completed next spring. The Classic Caverns tour is considered moderate to difficult. And is 2 miles over approximately 2 hours. This tour is great for kids and adults alike. But be prepared: It is a 10% grade uphill to reach the cave entrance and requires the need to duck, waddle, bend and slide (yes, slide!) while on tour. Also be sure to bring a light jacket as the interior to the caves is significantly chillier than outside temperatures. Lewis & Clark Caverns was Montana’s first state park. And while Lewis & Clark didn’t ever venture into the caves, they did travel through Jefferson Canyon on eight dugout canoes on the Jefferson River (which you can see during your hike to the caves). There are 40 campsites available as well as a tipi and three cabins for rent! There is a group camping site available as well, be sure to contact the park in advance if interested in renting this site. So - let’s get outside! And in the meantime, help support the boots-on-the-ground work the Foundation is doing at the park in 2019. How Will the Foundation Help Lewis and Clark Caverns in 2019? Each year the Foundation chooses a select few projects on-the-ground in Montana State Parks to help make a meaningful and long-term impact. In 2019, Lewis and Clark Caverns is one such project. The Foundation is helping to make the caverns more accessible to all ages and mobility levels. This will include a shortened, more accessible access point to the caves, improved benches and rest areas on the larger hike, as well as sun shade structures at the lower caves entrance. If you envision a Lewis and Clark Caverns of today for our future generations, I encourage you to donate today to help ensure that it becomes a reality. Love the park? Grab a shirt, sweatshirt, or coffee mug of your choice to support Lewis and Clark Caverns. This week's focus takes us to Flathead Lake Montana to the (former) home of the world's biggest bighorn sheep. In addition to Rocky Mountain bighorn sheep, the island is habitat for more than 100 different birds and mammals, including osprey, bald eagles, mule deer, coyotes, wild horses, and even the occasional bear. The island is managed as a primitive area, making the park experience very exploratory with a true feeling of a wild landscape. Located on Flathead Lake, Wild Horse Island is the largest island in a freshwater lake west of Minnesota. Accessible only by boat, Wild Horse Island has six boat landing sites, but visitors are welcome to pull their boats to shore on any of the public beach sites. 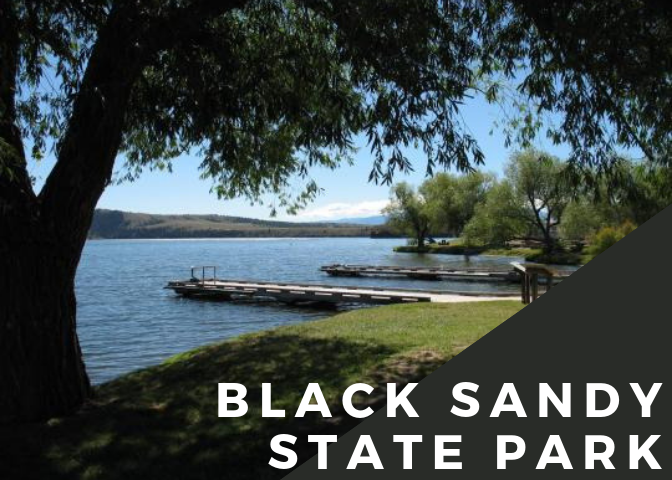 While most of the island is owned by Montana State Parks, be aware as there is still private property on the island; therefore visitors are prohibited from using private boat docks. Wild Horse Island is said to have been used by the Pend D'Oreille Native Americans who would pasture their horses on the island to prevent them from being stolen by other tribes! Due to the variety of wildlife, Wild Horse Island does not allow camping, pets or bikes as they may spook the animals. Fires and smoking are prohibited anywhere on the island. With approximately 2,164 acres to explore, finding an activity and quiet nature viewing isn't difficult at Wild Horse Island. ✅ Take a hike! The island has four miles of interconnected hiking trails, but visitors are free to explore off-trail as well. ✅ Try and catch your dinner! Fishing is allowed with tribal & state fishing licenses. ✅ Check out the wildlife including bighorn sheep, mule deer, songbirds, waterfowl, bald eagles, falcons and wild horses. ✅ Warm day? Take a dip in Flathead Lake! ✅ Pack a picnic lunch to enjoy while you enjoy the views. While you won’t find a full-time park ranger here, each of the six landing sites serves as a trailhead with informational kiosks. In fact, in 2019, the Montana State Parks Foundation is working with Montana Fish, Wildlife & Parks to replace and improve its current informational kiosk system. Besides the great views and interesting wildlife, you can also find rare, endangered plant life on Wild Horse Island. The island even has a Palouse Prairie ecosystem, one of only three of these biomes in Montana. And it is because of its unique ecosystem and habitat that is home to so many amazing and unique species, that the Montana State Parks Foundation will be working to eradicate invasive species on the island. So - let’s get outside! And in the meantime, help support the boots-on-the-ground work the Foundation is doing on the island. How Will the Foundation Help Wild Horse Island in 2019? In 2019, Wild Horse Island is one such project. The Foundation will help fund information kiosk updating, trail maintenance, and invasive weed species management. If you envision a Wild Horse Island of today for our future generations, I encourage you to donate today to help ensure that it becomes a reality. This week's focus takes us to the southeast border of Montana and 10 minutes outside of Decker, MT to Tongue River Reservoir State Park. Tongue River Reservoir is on the Tongue River, a tributary of the Yellowstone River, approximately 265 miles long, that runs through Montana and Wyoming. The park provides a 12-mile long reservoir set in the truly scenic prairie land of southeastern Montana featuring red shale and juniper canyons. Due to the rareness of large bodies of water like this in prairie country, the park can see up to 50,000 visitors a year. Camping? Tongue River Reservoir has 81 reservable campsites with electric hookups, and 27 of those are double occupancy with two electric hook-ups. There are also 80 non-reservable, non-electric sites! Most sites also have a fire ring and picnic table. There is an RV dump station and water faucets available during peak season. During the offseason there are 11 sites with electricity, these are first-come, first-served. 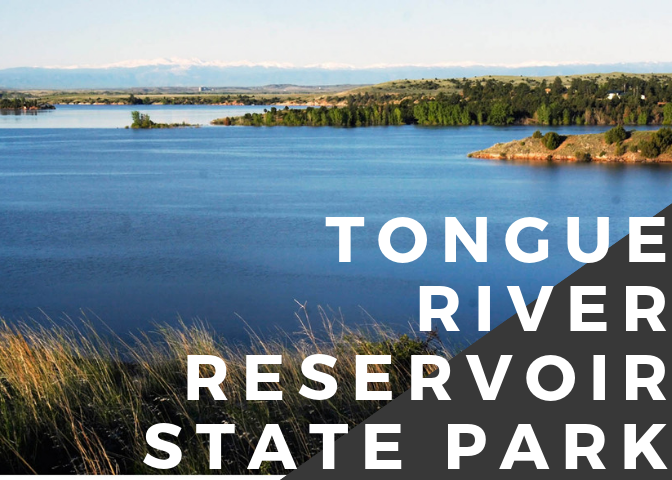 Although there are no hiking opportunities at Tongue River, there is hiking available nearby at Rosebud Battlefield State Park or Little Big Horn Battlefield National Monument. ✅ Take the boat out on the water! There are two boat ramps with docks, one at Campers Point and one at Pee Wee North. ✅ Go for a swim! Sand Point has a small beach area for swimming. ✅ Keep your eyes open for wildlife! You may just see osprey, blue herons, deer, antelope or bald eagles. ✅ Bring your picnic! The designated day-use area has picnic tables at Campers Point and Sand Point. At 12 miles long, the reservoir makes for excellent fishing any time of year! You’ll find crappie, walleye, bass and northern pike here. You can also fly fish below the dam and there is a fish cleaning station located within the park. Forgot anything or just need additional supplies? The marina at Campers Point has firewood, ice, fishing and boating supplies, boat rentals, boat and RV storage, bait, groceries, snacks, drinks, gasoline, souvenirs, fishing, and hunting licenses, and non-resident park passes. While summertime may be the most popular time to visit the park, Tongue River Reservoir State Park also features amazing ice fishing and year-round campsites that support just that. Four state record fish have been pulled from Tongue River Reservoir State Park, including a 37 pound Northern Pike? Curious what other visitors have had to say about the park? "My most favorite places to go camping and fishing." "Catch Walleye, Pike, Crappie, Bass, Cats, and MORE!" "Great place to recreate with shore-side camping, most with electrical hookups available." "Tongue River Reservoir has the best fishing - they have a wide variety of fish to choose from when They hit they hit you hard. Everything from walleye to catfish to a bluegill sunfish, bass, pike, crappie etc." "I've been going there since I was a kid. My best childhood memories are there, the countless hours spent fishing and water skiing. Also, an amazing place to make friends from all over the country. I hope to give my kids great memories here like my parents did for me!" 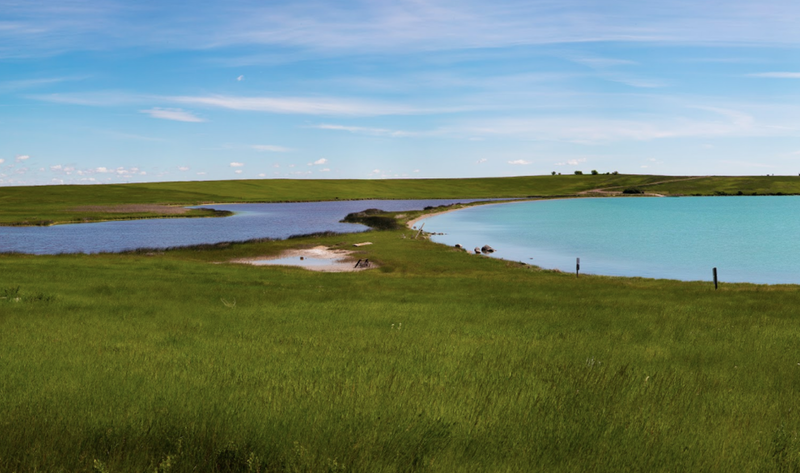 How Does the Foundation Help State Parks Like Tongue River Reservoir State Park? A simple way to help Montana State Parks, each and every year, is through our branded Montana license plates. These feature the famous Monte Dollack painting, Placid Lake Sunset, and is an effective way to say "yes" to protecting Montana's public lands by doing what you'd be doing anyway by registering your vehicle. This week's focus takes us to Glendive, MT to Montana's largest state park. In addition to the pine and juniper studded badlands formations, the park also houses the fossil remains of over ten different types of dinosaurs including Tyrannosaurus and Triceratops. The popular Diane Gabriel Trail hike, even offers views of an exposed Hadrosaur fossil embedded in the rugged hillside. Established on November 10, 1953, thanks in part to a generous family land donation, Makoshika (Mah-koh-shi-kah) State Park is Montana’s largest state park. While Makoshika is well known for the dinosaur fossils found (more than ten different species!) throughout the park, Montanans know our largest park is so much more than just fossils. Makoshika is a variant spelling of the Lakota phrase meaning “bad land” or “land of bad spirits”. Located just outside Glendive and open year-round, Makoshika is home to about half of the species of birds found in Montana. Similar to the number of different birds, Makoshika boasts nearly half of the state’s flower species as well. Popular with locals and tourists alike, Makoshika makes for a great day-trip, overnight stay, or even a multi-day adventure, but don’t worry, you won’t feel crowded! With 11,538 acres and an elevation of 2,415 feet, finding an activity and solitude isn't difficult in Makoshika! ✅ Visit the visitors center to see a Triceratops skull and other badlands interpretive displays. ✅ Camp (year-round!) at one of the 28 campsites. Or more of a backpacker? The park is now issuing backcountry permits for overnight trips. ✅ Take a drive along the scenic route through the park (note the road reopens after recent upgrades in 2019). ✅ Check out the Montana Dinosaur Trail and learn more about Montana paleontology. ✅ Go on a bird watching excursion to see how many species you can spot. ✅ Weather erosion means the park’s landscape is ever-changing, creating once in a lifetime views! Take in the beauty of the badlands on a day hike. ✅ Play a round -- or two -- of disk golf at the 18-hole course. ✅ Try your bow and arrow skills at the archery range. Be aware, the weather in the park varies and temperatures can be extreme, so be sure to check the weather before embarking on your Makoshika adventure. If you happen to plan your trip in June, you’re in for a treat! Buzzard Days festival is held every June and features 10k and 5k races (plus a fun run! ), Native American singers and drummers, mini golf, jumping house, food, a frisbee golf tournament, hikes and more! You’ll also love the other special events hosted at Makoshika throughout the year like Montana Shakespeare in the Park, March for Parks, summer youth programs and many more. How Does the Foundation Help State Parks Like Makoshika? This week's focus takes us near Three Forks, MT to one of Montana's historic Native American sites. This park highlights not only what was formerly an extensive village, but only one of a handful publicly preserved and accessible buffalo jump sites in North America. Located just outside of Logan, Madison Buffalo Jump State Park serves as an incredible monument to early Native American inhabitants. A significant number of tipi rings have been found here, leading archeologists to believe there was once an extensive village at this site. At the top of the cliff, you can still find “eagle pits”` where Native American “runners” would hide. “Runners” -- skilled men trained for speed and endurance -- wore animal skins to lure buffalo to the cliff where they would meet their demise. This was their only means for survival for thousands of years. Although extensively used for over 2,000 years, when horses were introduced around 1700 the jump was mostly abandoned. ✅ Visit the interpretive pavilion to learn more about the jump which was used for nearly 2,000 years. ✅ Take a hike on the 4 miles of hiking trails. ✅ Packing a picnic? You’ll love the picnic area located near the parking lot. ✅ History buff? Madison Buffalo Jump is a great stop to learn about local history and culture of Native Americans who utilized the area. While camping is not available at this location, Missouri Headwaters State Park is located only 20 minutes away by car and offers campsites, tipis, and cabins available to the public. Unlike other areas near the park, Madison Buffalo Jump was not extensively mined for fertilizer nor has it been deeply surveyed by archeologists, leaving tons of bones and details of the site buried. In fact, graduate students from the University of Montana have used it for archeology studies in recent years. Planning a summer visit? Madison Buffalo Jump is a great stop on the way to the Madison River for fishing or floating and Missouri Headwaters State Park is close and also open year-round. During the winter, snow is typically sparse at Madison Buffalo Jump making it a great place to hike year-round. Make a donation to help protect and preserve Madison Buffalo Jump Today. I often get my “nature fix” on the Whitefish Trail — it’s close to my home, it’s easy and it’s exhilarating. But I could get it on the Cut Bank Trails near Cut Bank, following the footsteps of Lewis and Clark, Dillon’s Selway Park, on an after-work float on the Beaverhead, Great Falls’ River’s Edge Trail on a lunchtime bike ride, or Makoshika State Park, on a weekend campout among the hoodoos and dinosaur fossils of the Montana Badlands. What do these places share? Outdoor recreation infrastructure — a clunky term that can mean a boat ramp, trail, toilet or a campground. Investments like these make “frontcountry” places easier, safer and more pleasurable to visit. They also have a great return. Each dollar spent pays back in economic vitality, health and wellness and quality of life. But we're not keeping up. Montana state park visitation grows every year, but it has a $23 million maintenance backlog. National parks, with record-breaking visitation, have an eye-popping $12 billion (with a “B”) backlog of maintenance needs, with $18 million in Yellowstone and $153 million in Glacier. The U.S. Forest Service’s maintenance backlog is $4.4 billion. Meanwhile, Congress has allowed the largest source of funding for outdoor recreation infrastructure, the Land and Water Conservation Fund (LWCF) to expire. That pot of money, funded entirely by royalties from offshore drilling since 1964, should be a predictable source to fix and acquire parks and trails. But each day that passes without it means nearly $3 million is lost to this country’s treasured parks and trails, to our shared detriment. Nationally, consumers spend $887 billion every year on outdoor recreation, generating 7.6 million direct jobs, $65.3 billion in federal tax revenue, and $59.2 billion in state and local tax revenue. In Montana, consumers spent $7.1 billion recreating in Montana, creating 71,000 jobs, $2.2 billion in wages and $286 million in state and local taxes. Even locally, the Whitefish Trail is estimated to contribute $6.4 million in annual spending by visitors and locals who purchase or rent outdoor gear at local stores and spend money for lodging, eating and shopping. That means 68 additional jobs and $1.9 million in labor income locally. Quick and easy access to the outdoors is a competitive advantage to growing segments of our economy like the tech sector. With wages 53 percent above the statewide average, businesses need top talent but face stiff competition from places like Seattle and San Francisco. That's why Montana employers tout quality outdoor access as a benefit, especially if a trailhead or boat ramp is a few minutes from the job. Alongside federal and state investment, we need counties and cities to step up. We need them to realize that outdoor recreation infrastructure is a big part of the economy that funds our schools and roads and hospitals. Individuals must speak up about creating, protecting and enhancing the outdoor experience. Those "aaaah moments" matter to all of us. They keep us happier and healthier. And they also keep our economy rolling. Under new leadership, the MT State Parks Foundation has worked hard to enhance and improve the parks that make Montana a great place to live or visit. About a year ago, I was hired to be the first Executive Director of the fledgling Montana State Parks Foundation. Much credit goes to the original Board of Directors and the Foundation’s first employee, Marne Hayes, of Businesses for Montana Outdoors, for their great work in establishing the Foundation prior to my tenure. The Foundation I was brought in to lead and grow was at a turning point in its lifecycle. Our first two years of existence were focused on bringing the challenges Montana State Parks face to the attention of the public, advocating for better parks, and fighting for more secure state funding. Those causes remain key tenants of what the Montana State Parks Foundation stands for. However, the Foundation also needed emphasis areas in which it could build credibility, trust, and momentum among citizens, State Park lovers, State Parks staff, legislators and others. The Directors of the Foundation and I developed a new strategic plan to guide our organization for the next 5 years. 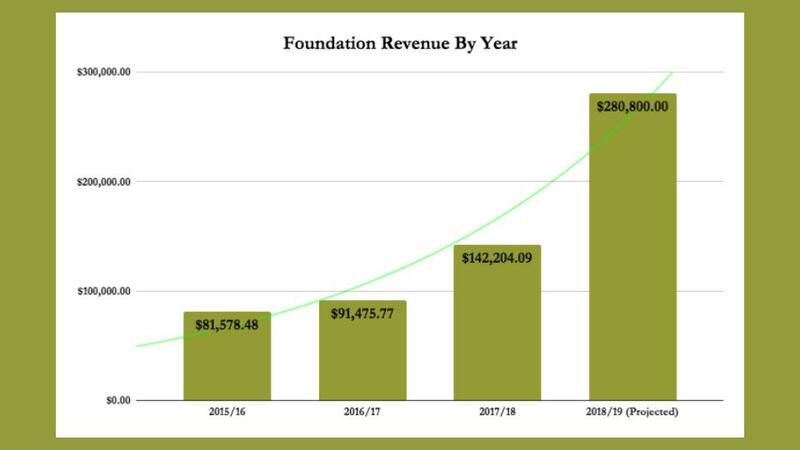 That plan shifted the focus of the Foundation’s efforts and resources toward a more clearly defined mission: The Montana State Parks Foundation raises private support to enhance the visitor experience and build advocates for Montana's state parks and recreation heritage. 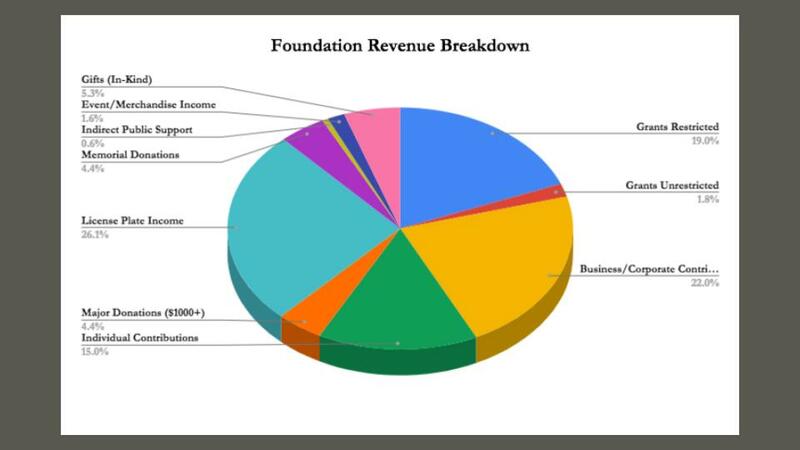 Additionally, we were able to build and improve our Foundation in many important ways. . We developed a sophisticated donor and supporter database and tracking system. We built a powerful email and social media marketing platform. We developed systems and protocols to manage everything from financial records to volunteer inquiries. We also added a number of tremendously talented and passionate members to our board of directors. While these types of business structures may not be as exciting as Blackfoot River sinker log benches at a new state park, they are important to the long term viability of the Foundation and thus to our state park system. In the year to come we plan to accomplish much, much more to enhance the visitor experience and improve Montana’s State Parks. We’ve been working closely to develop and build strong partnerships with conservation organizations such as the Montana Conservation Corps and the Wild Sheep Foundation; government partners such as the Montana Office of Outdoor Recreation and the Billings Tourism Business Improvement District; business partners like onX Maps, River Design Group, and Patagonia; and most importantly, people like you who care about public lands and want Montana to have a great state parks system--one that reflects our renowned reputation as the nation’s leader in outdoor recreation and heritage. Montana’s State Parks need people like you. People that are passionate, solutions oriented, and willing to be a part of positive change. Without your help State Parks will continue to face over $22 million dollars in unmet maintenance, infrastructure, and capacity needs. While the staff and volunteers at Montana State Parks do a great job keeping the parks operating as smooth as they can, they can’t keep holding it all together with duct tape and bailing wire forever. So we have a choice. We can hope and wait for politicians in Helena and Washington D.C. to stop quibbling over partisan differences and do what is right for our public lands and our state. Or we can step up and meet the problem head on. The Montana State Parks Foundation has been and will continue to do the latter by investing private money into critical improvements and enhancements to our State Parks. We invite you to join us and be a part of the solution.